Rachel Carson — a biologist and science writer with the US Fish & Wildlife Service, merged the conservation and public health movements into the environmental movement with her 1962 book Silent Spring. Air Pollution Study June 8, 1960 — US president Eisenhower signs a bill starting a two-year Public Health Service study into on air pollution from cars. Atomic dumping Oct. 10, 1960 — Jacques Cousteau and Prince Rainier III of Monaco publicly oppose French plan to dump radioactive wastes into the Mediterranean Sea. The French decide not to go ahead. Alaska Conservation Society founded to oppose a nuclear landscaping proposal by Edward Teller called Project Chariot (See 1958). Celia Hunter (Jan. 13, 1919 – Dec. 1, 2001), a pilot and founder of Camp Denali in the 1950s, is one of the early environmental advocates opposed to Teller and his madcap atomic projects. Fermi Nuclear Reactor stopped, then started — 1960 — June 12 — Responding to safety concerns from unions and the public, a federal court halts construction of the Laguna Beach, Mich. Fermi nuclear power plant 30 miles southwest of Detroit, but US Supreme Court allows it to restart. In 1966, a nearly catastrophic loss of coolant accident forces Unit One’s permanent closure and shows that critics had reason to be concerned. (See John G. Fuller, We Almost Lost Detroit, Readers Digest Press, 1975). “Goodbye to a River,” by John Graves, published in 1960, is a story about the author’s canoe trip down the Brazos River in north-central Texas and about the history of the river. Thirteen dams were planned for the river, although only three were built. Nuclear meltdown in Idaho — Jan. 3 — Three operators are killed when a small experimental nuclear reactor melts down and explodes in Arco, Idaho. Nuclear bomb nearly detonates in North Carolina — Jan. 23 — Two Mark 39 hydrogen bombs were accidentally dropped over Goldsboro, North Carolina on 23 January 1961. The bombs fell to earth after a B-52 bomber broke up in mid-air. FOIA releases confirmed the event in 2013. 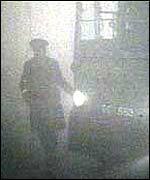 1961, June 12 — International Clean Air Congress held in London. White House Conservation Conference — May 25 — The first since US President Theodore Roosevelt’s congress of governors in 1908 was “part of the Kennedy Administrations continuing effort to stimulate public interest in the preservation of America’s natural resources,” says the New York Times. The conference also finds something of a resolution in the old “preservation versus wise use” debate. Sile nt Spring’s Noisy Summer — Reaction to Silent Spring by Rachel Carson, first published in the New Yorker on June 22, 1962, is immediate and nationwide. Some agronomists ask whether Carson is intending to starve people by banning pesticides. By 1970 DDT is banned in the US for agricultural use, but other far more toxic chemicals are not. Silent Spring is often seen as a turning point in environmental history because it opened a larger national dialogue about the relationship between people and nature and merged public health and conservation movements. Although it was not the beginning of the “environmental movement,” it was a major accelerator. Thalidomide scandal rocks Europe but US is safe after following the precautionary principle — 1962 — Amendments to the Food Drug and Cosmetic Act say that drugs need to be effective as well as safe. The U.S. largely avoided the thalidomide birth defects disaster, in which 10,000 children were born with serious birth defects in 46 countries. The FDA did not approve the anti-nausea drug for sale to pregnant women in the U.S. largely due to the concerns of Frances Oldham Kelsey, who had absolutely refused to let the US Food and Drug Administration approve the untested anti-nausea drug for pregnant women. General Motors and Standard Oil of New Jersey (Exxon) finalize papers on Dec. 3, 1962 to abandon Ethyl Corp. selling it to Albemarle Paper Co. in $200 million leveraged buyout which the corporations themselves finance. Ethyl was the main manufacturer and unapologetic defender of leaded gasoline (or, more precisely, tetra-ethyl lead and similar additives). Eight years later, in 1970, GM will abandon leaded gasoline. There has been speculation about GM’s rationale for dumping Ethyl, but until Ethyl’s private documents become public, few will know whether GM was motivated by an understanding of the grave public health issues surrounding leaded gasoline. Murray Bookchin publishes Our Synthetic Environment, published by Knopf. 1963 — France, Switzerland, Germany, Luxembourg and the Netherlands agree to protect Rhine River from pollution in Berne Accord. 1963 — Aug. 5 — Nuclear Test Ban Treaty between U.S. and U.S.S.R. (Russia) stops above ground tests of nuclear weapons, but massive explosions keep scattering radiation around the world. The accumulation of radioactive strontium 90 in children’s teeth is the focus on one study that helped move the nuclear tests to slightly safer underground locations. William Allen Swallow, a lifelong humane worker, authors The Quality of Mercy, a “history of the humane movement in the United States,” published by the Mary Mitchell Humane Fund. Nassar and Kruschev at the Aswan High Dam ceremony, May 14, 1964. May 14 — Aswan High Dam floodgates open on the after the switch is thrown by Egyptian president Gamal Abdel Nassar and Soviet premier Nikita Kruschev. Since the dam innundated an area of major international importance, the United Nations responded by creating World Heritage sites which, theoretically, have more international protection. The dam is an environmental problem in other ways that were not expected, such as increasing human disease and soil erosion along the Nile. 1964 –Sept. 3– Congress creates National Wilderness Preservation System “to secure for the American people of present and future generations the benefits of an enduring resource of wilderness.” The system initially contained 9.1 million acres of wild lands, but by 2001 there were about 90 million acres of wilderness preserved in the United States. Text of the Act is available from Wilderness System web page. A history is also available from the Wilderness Society. 1964 — Hazel Henderson organizes Citizens for Clean Air in New York. Oct. 30, 1964 — Pacific Gas & Electric Co. announces it will abandon plans to build a nuclear power plant at Bodega Head, on the Pacific Coast 50 miles north of San Francisco. The natural beauty of the location, combined with the fact that it is located directly atop the seismically active San Andreas fault line, were major points against the project. Undeterred, PG&E began the Diablo Canyon nuclear plant on the same fault line a few years later. February 8 — In a “Special Message to Congress on Conservation and Restoration of Natural Beauty” US president Lyndon Johnson warns of buildup of carbon dioxide in the atmosphere. 1965 — Congress passes Water Quality Act setting standards for states, along with the Noise Control Act and Solid Waste Disposal Act. July, 1965 — Sierra Club sues to protect New York’s Storm King Mountain from a power project. The case establishes a precedent, allowing the Club standing for a non-economic interest in the case. 1965 — Weather inversion creates four day air pollution incident in New York City; 80 die. 1965 – November – Environmental Pollution Panel of the President’s Science Advisory Committee issues a report “Restoring the Quality of Our Environment” that includes a warning about increasing CO2 in the atmosphere. 1965 — US Public Health Service publishes report “Protecting the Health of Eighty Million Americans” stating that old problems of worker safety and health were not solved and new technological challenges were complex. The report leads to a reorganization of the PHS and the establishment of OSHA in 1970. December 27 — Nine die as Britain’s first effort at offshore oil drilling ends in disaster with the collapse of the Sea Gem platform. The Natural Resources Defense Council notes that the massive Storm King pumped – hydro storage project took aim at a treasured Hudson River scenic resource that “held a special place in American culture as the distinctively American wilderness venerated by the nation’s earliest writers such as James Fenimore Cooper, Nathaniel Hawthorne, and Washington Irving.” Storm King mountain was also a frequent subject of the Hudson River school of landscape artists, including Thomas Cole, Asher Durand, and Frederick Church. Ralph Nader, Unsafe at Any Speed a book highly critical of the automotive industry. 1966 — Barry Commoner establishes Center for the Biology of Natural Systems. 1966 — US Public Health Service publishes report “Protecting the Health of Eighty Million Americans” stating that old problems of worker safety and health were not solved and new technological challenges were complex. The report leads to a reorganization of the PHS and the establishment of OSHA in 1970. 1966 — July 2 — French begin nuclear weapons testing at Moruroa in the South Pacific, in what was then called French Polynesia. Testing ends by 1974 after 41 nuclear explosions. 1966 — Oct 5 — Fermi No. 1 fast metal breeder nuclear reactor in Detroit, Michigan loses coolant and partially melts down. (See John G. Fuller, We Almost Lost Detroit, Readers Digest Press, 1975). William Niering writes The Life of the Marsh. 1967 — Environmental Defense Fund established. 1967 — US Congress passes Air Quality Act / Clean Air Act which authorizes planning grants to state air pollution control agencies. March 18 — Torrey Canyon oil tanker crashes off the coast of England resulting in a spill of over 29 million gallons of oil devastating the coastlines of England and France. 1967 — Greenpeace is founded in Vancouver, Canada as the Don’t Make A Wave Committee, a Quaker peace group, which becomes Greenpeace in 1971 after several years of disrupting nuclear tests in the South Pacific. 1967 — Lynn White’s essay “Historical roots of our ecological crisis,” appears in Science magazine (155: 1203-1207). The greatest spiritual revolutionary in Western history, Saint Francis, proposed what he thought was an alternative Christian view of nature and man’s relation to it; he tried to substitute the idea of the equality of all creatures, including man, for the idea of man’s limitless rule of creation. He failed. Both our present science and our present technology are so tinctured with orthodox Christian arrogance toward nature that no solution for our ecologic crisis can be expected from them alone. Since the roots of our trouble are so largely religious, the remedy must also be essentially religious, whether we call it that or not. We must rethink and refeel our nature and destiny. The profoundly religious, but heretical, sense of the primitive Franciscans for the spiritual autonomy of all parts of nature may point a direction. I propose Francis as a patron saint for ecologists. 1967 — Lake Peddar, Tasmania — Protests begin when the government of Tasmania revokes the lake’s national park status and begins building a hydroelectric dam. The moment is often seen as an environmental awakening for Tasmania. 1968, Jan 1. — Redwood National Park established in California. 1968 — Congress passes Wild and Scenic Rivers Act and National Trails System Act. 1968 — David Brower leads effort to save Grand Canyon from dams proposed by the Bureau of Land Management. 1968 — United Nations Biosphere Conference encourages the idea of a larger general UN conference on the environment, scheduled for Stockholm in 1972. February 11 — Scientists at Antarctica’s Byrd Research Station drill the first ice core through 7,000 feet of ice in order to study historical temperature and atmospheric changes. “Too much and too long, we seem to have surrendered community excellence and community values in the mere accumulation of material things. Our gross national product … if we should judge America by that — counts air pollution and cigarette advertising, and ambulances to clear our highways of carnage. It counts special locks for our doors and the jails for those who break them. It counts the destruction of our redwoods and the loss of our natural wonder in chaotic sprawl. It counts napalm and the cost of a nuclear warhead, and armored cars for police who fight riots in our streets. It counts Whitman’s rifle and Speck’s knife, and the television programs which glorify violence in order to sell toys to our children. 1968, April 4 — Martin Luther King assassinated supporting Memphis TN sanitation workers strike. for environmental and economic justice. 1968, June 6 — Robert F. Kennedy assassinated. 1968 — Friends of the Sea Otter founded. Nov. 20, 1968 — Farmington Mine disaster According to Ken Ward of the Charleston Gazette, the United Mine Rescue Association said: At approximately 5:30 a.m. on Wednesday, November 20, 1968, an explosion occurred in the Consol No.9 Mine, Mountaineer Coal Company, Division of Consolidation Coal Company, Farmington, Marion County, West Virginia. There were 99 miners in the mine when the explosion occurred, 78 of whom died as a result of the explosion. The other 21 miners survived the explosion and escaped to the surface; seven miners working in A Face Section, four miners working near the slope bottom, and two miners working near the Athas Shaft (areas not affected by the explosion) escaped unassisted to the surface. Eight miners working near the newly constructed Mahan Shaft when the explosion occurred were rescued via the shaft by a mobile crane equipped with a steel cable and a bucket large enough to accommodate three miners. All of the eight miners were on the surface by 10:40 a.m. of the same day. 1968, December 1 — Garrett Hardin publishes his article Tragedy of the Commons in Science, 162(1968):1243-1248. 1969 –Jan. 31 — Santa Barbara oil well blowout off the Santa Barbara coast of California spills 235,000 gallons of oil and covers 30 miles of beach with tar. Well is capped Feb. 8. March 2 — Anglo-French supersonic airplane, the Concorde, flies for the first time. By 1976 regular commercial flights begin, ending in 2003. Noise pollution and the introduction of NOx into the upper atmosphere were two environmental concerns. 1969 — Auto makers settle suit by Justice Department for conspiracy to stifle the development of pollution-control devices started in the mid-1950s. The naivete, enthusiasm and idealism of young people is not a thing to be scorned, for it is the raw material of constructive growth… We will stop the destruction of this planet even at the cost of our futures, careers and blood.” — Pennfield Jensen, student, San Francisco State College. 1969 –Federal Coal Mine Health and Safety Act passed. 1969 — National Environmental Policy Act passed in Congress. 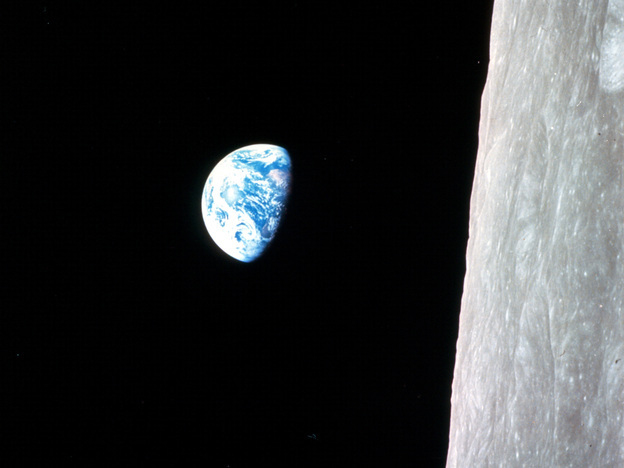 1969 — Friends of the Earth founded. 1969 — New Alchemy Institute (now the Green Center) founded. “…Before these priceless bits of Americana such as a valley, an alpine meadow, a river, or a lake are forever lost or are so transformed as to be reduuced to the eventual rubble of our urban environment, the voice of the existing beneficiaries of these environmental wonders should be heard. Perhaps they will not win. Perhaps the bulldozers of ‘progress’ will plow under all the aesthetic wonders of this beautiful land. That is not the present question. The sole question is, who has standing to be heard? Those who hike the Appalachian Trail into Sunfish Pond, New Jersey, and camp or sleep there, or run the Allagash in Maine, or climb the Guadalupes in West Texas, or who canoe and portage the Quetico Superior in Minnesota, certainly should have standing to defend those natural wonders before courts or agencies, though they live 3,000 miles away. Those who merely are caught up in environmental news or propaganda and flock to defend these water or areas may be treated differently. That is why these environmental issues should be tendered by the inanimate object itself. Then there will be assurances that all of the forms of life which it represents will stand before the court — the pileated woodpecker as well as the coyote and bear, the lemmings as well as the trout in the streams…” (James Barros, International Law of Pollution, 1974). 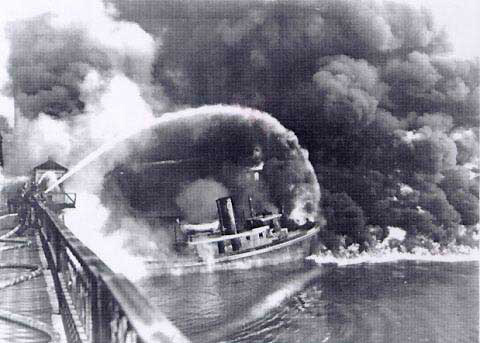 1969 — June 22 — Cuyahoga river bursts into flames 5 stories high from oil and chemical pollution, illuminating the extent of pollution and simultaneously igniting controversy over how much cleanup will be needed. The river fire becomes a defining moment for the new environmental movement. “I will never forget a photograph of flames, fire, shooting right out of the water in downtown Cleveland. It was the summer of 1969, and the Cuyahoga River was burning.” Carol Browner, Environmental Protection Agency Administrator 1993-2001. Excellent website by Gillian Page on Cuyohoga River history. 1969, Sept. 10 — Interior Dept. nets $900,220,590 in high bids for Alaskan oil leases. The sale of oil on 179 tracts of the North Slope totaling 450,858 acres opens the arctic for oil exploration. Sept. 10, 1969 — A 43 kiloton nuclear bomb is detonated underground in Garfield County, Colorado by the Atomic Energy Commission under Project Rulison, part of Project Plowshare/Peaceful Atom. The idea was to free natural gas from sandstone formations. Although successful, the gas turned out to be too radioactive to use. See this High Country article: He Felt the Earth Move.